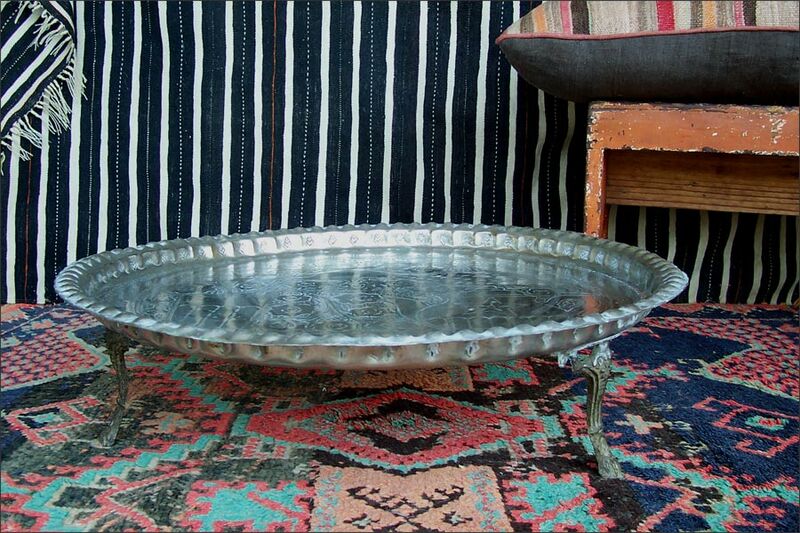 Delight in the Whimsy of this Older Footed Moroccan Tray Hand Hammered with the likes of a Fantasy Garden. Upon a Garden Wall sit's a Plump Teapot and Glass out of which Sprouts a Plethora of Flowers, Fruit and Leaves. Amongst the Garden Stands a Peacock. With the Depiction of Realistic Imagery, this must be the work of Moroccan Berbers. 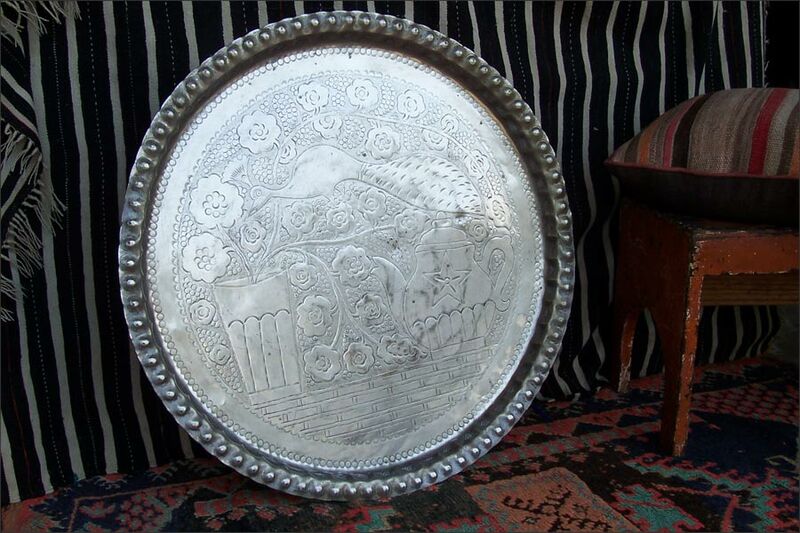 A Special Find for one Looking for Statement, Hand Crafted Moroccan Decor to Display and use as Serve Ware. 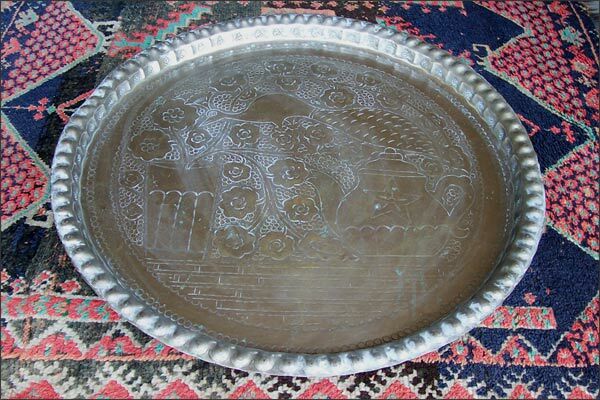 The Tray is Footed, and Made of Brass which has been Tinned. Some Surface Wear of the tin, and Minor Denting are Evidence of age and use.